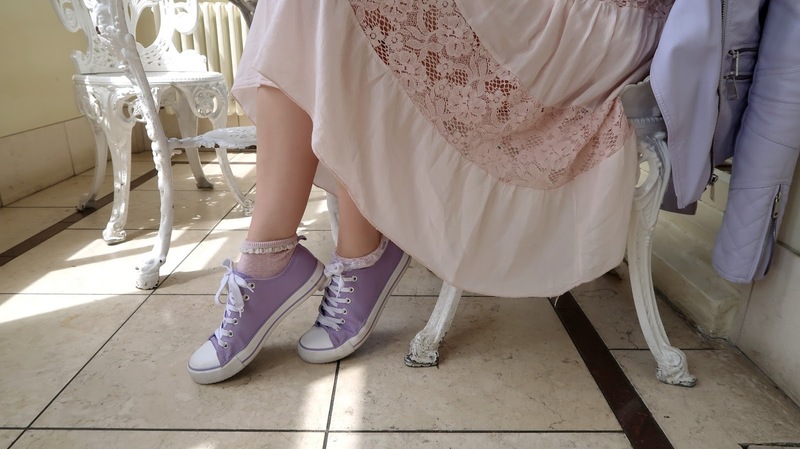 Since we’re finally getting some lovely weather I wanted to blog this cute pastel outfit! 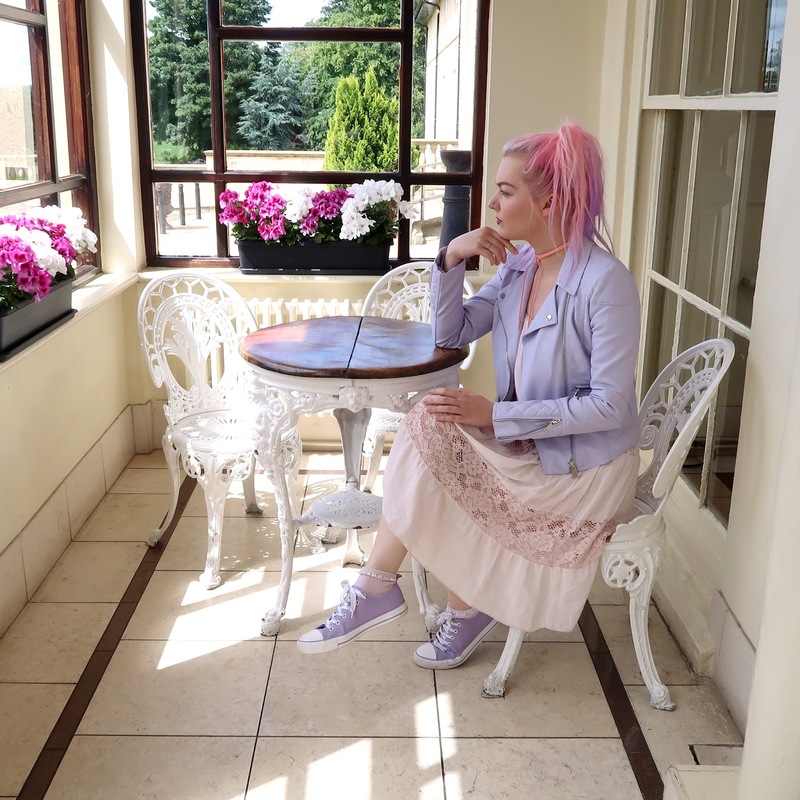 I am loving pastels at the moment and I think they complement the season so well. 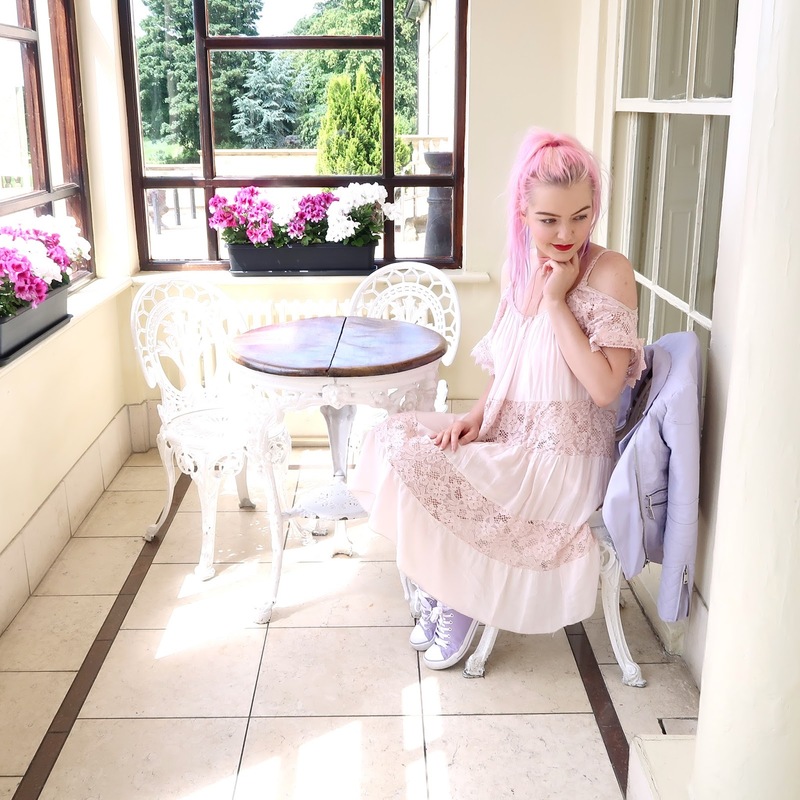 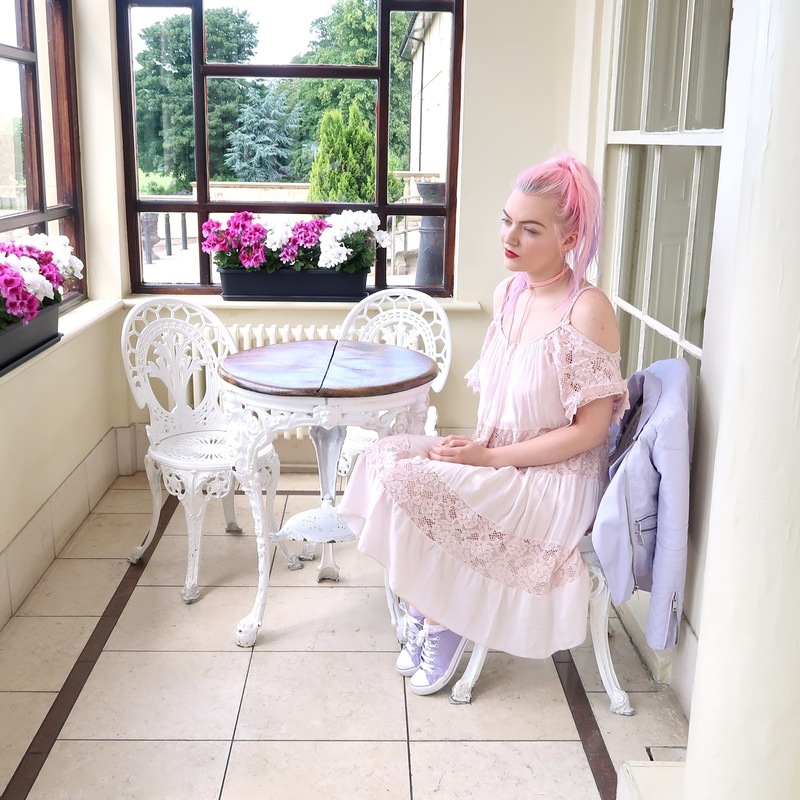 I paired this gorgeous muted pastel pink dress with other pastel pink and pastel purple accessories such as a pink choker, purple pumps, a purple jacket and pink frilly socks. 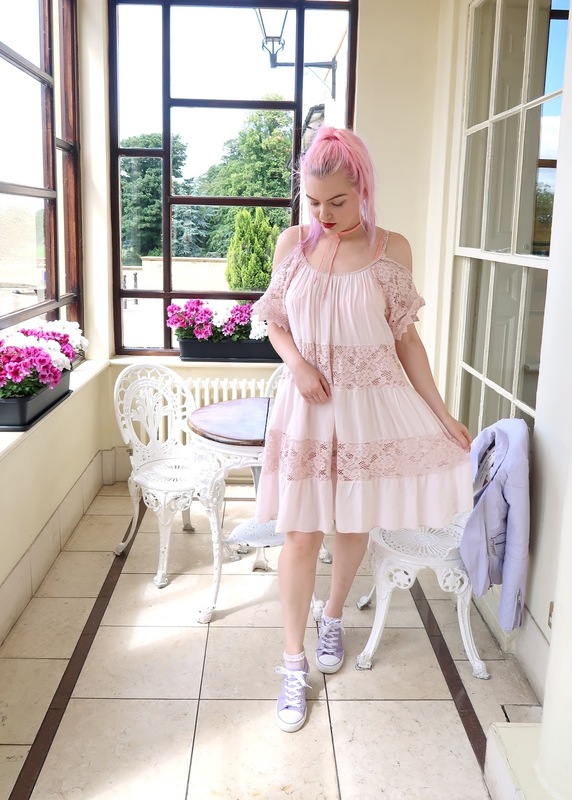 I think this outfit is so cute and really comfortable to wear and so inexpensive. 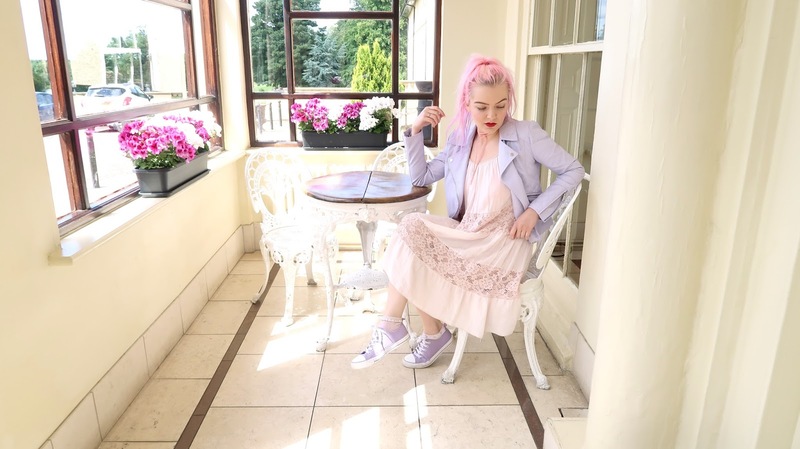 The dress is so easy to wear for so many occasions and the flat shoes mean you could easily wear this outfit all day. 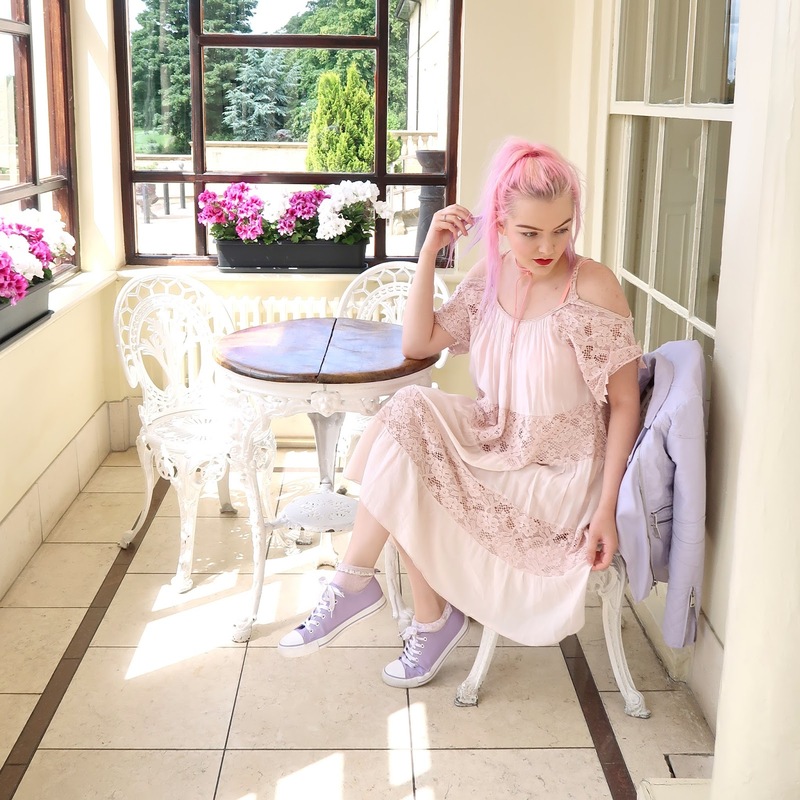 A summer lunch or even a day out shopping, this dress is a summer staple.